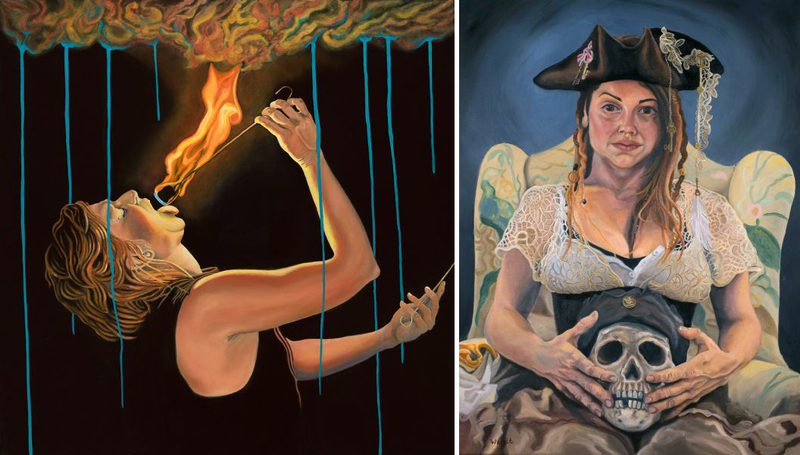 Realistically Painted Portraits with Surreal Surroundings. 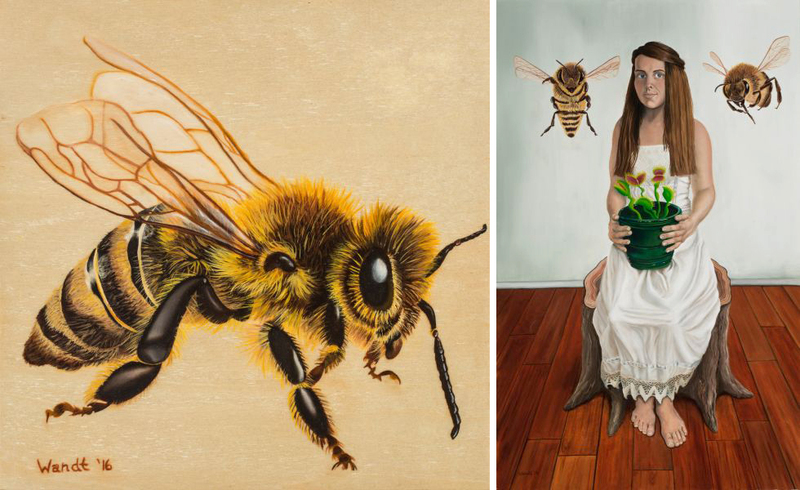 Imaginative & Symbolic Interpretations of Everyday Life. I've heard that oil painting is something you either love or hate; there's no in between. 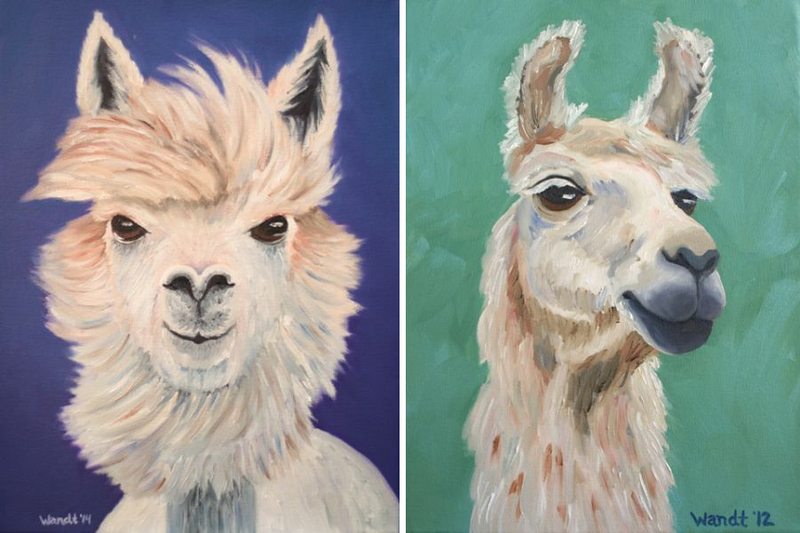 Lucky for us, Austin based painter Linda Wandt felt right at home when she first learn how to use this complex medium. She grew up enjoying the arts, but didn't originally have plans of pursuing painting professionally. She actually studied to work in medicine, but decided that wouldn't make her happy. While she would tell you that she didn't get much formal training in the figure drawing, I would argue that her medical training must have helped because her human forms are beautiful! She also deserves credit for intense dedication to self-study and practice. Passion really pays off! When I try to label her style, I find myself caught between Realism and Surrealism. She does a wonderful job of faithfully representing detail and contour. 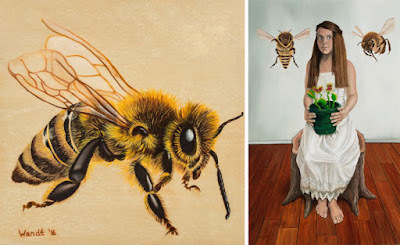 Whether depicting a bee or a person, she achieves a realistic feel. And yet, Linda also incorporates elements into her works that add meaning without being very real to the scene. Think of how Frida painted her portraits. Linda similarly composes a scene to tell stories pulled from her imagination. She may stew on an idea for quite a while, processing all of the different inspiring inputs from her daily life. Then when she's ready to paint, she brings it all together to photograph and produce her reference. I'm a huge fan of how much personality she can paint in her animals as well as the shapes she has captured in her hand series. 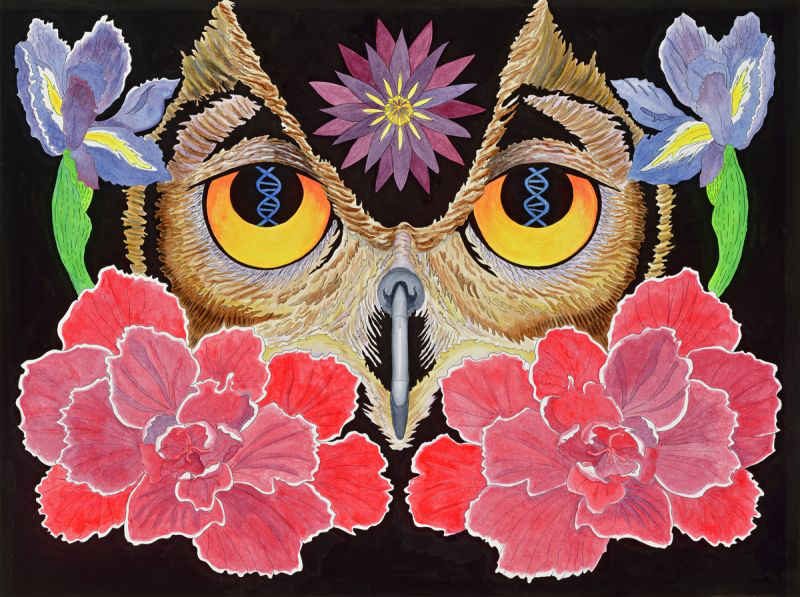 Of course, all of her work is eye catching and full of color, both literally and figuratively. Amazing job studying what you love and producing your own unique style!